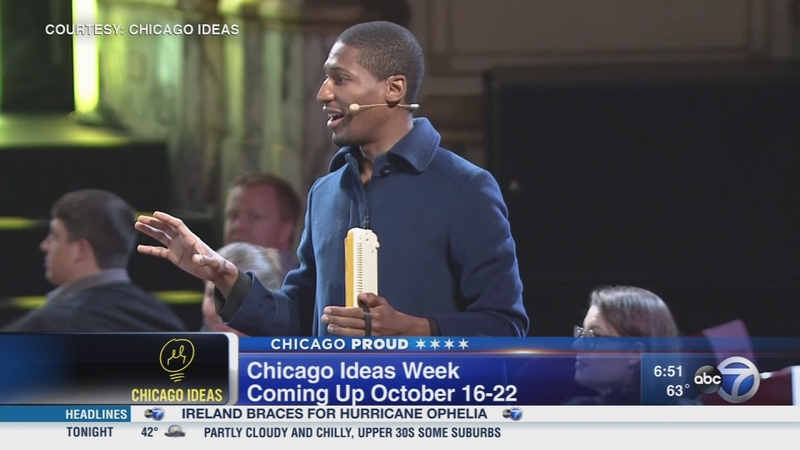 CHICAGO (WLS) -- It's Chicago Ideas Week! Some of the world's top innovators, musicians, artists and creators are in Chicago to help spark change in the world. Several events are planned for Monday, including the Uptown Food Crawl with our Hungry Hound Reporter Steve Dolinsky.It begins at 1 p.m. at Sun Wah Barbecue near Broadway and Argyle Street. More than 30,000 people are expected to attend the talks which last through Sunday. Talks range from cyber security, love and relationships and entrepreneurship. Tickets are $15 for most events. For a full list of events, click here.